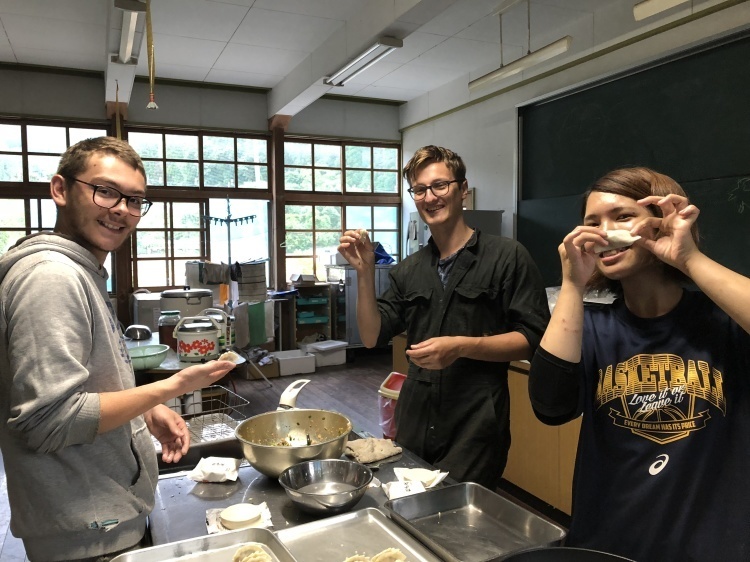 It is the penultimate week in Egao no mori and the day has been very intense. 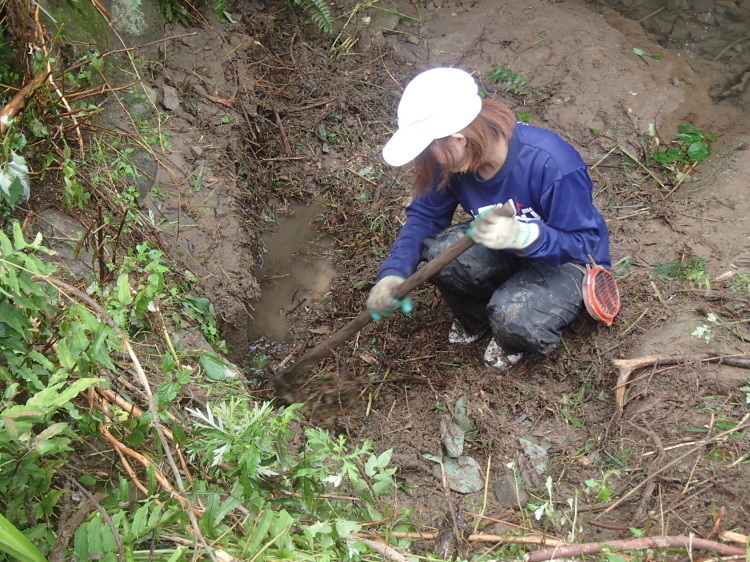 The rainy season this year has been particularly violent, forcing us to move a goat from one enclosure to another, and to take care of the rehabilitation of the big part of the ditch that had been encumbered by mud, stones and branches during heavy rains. We did a lot of rakkyous work on the 04th, 5th and 6th of July. 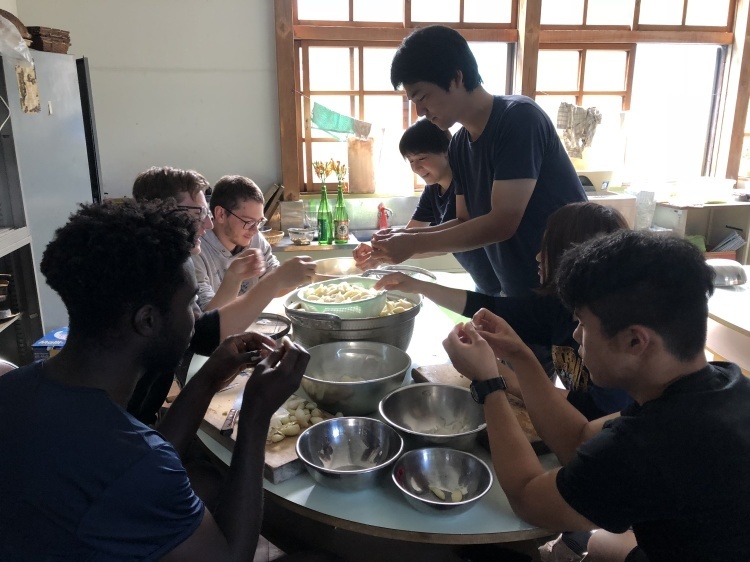 The rest of the work will be supported by the next volunteers after us, but the work done has really been important and we can congratulate ourselves. 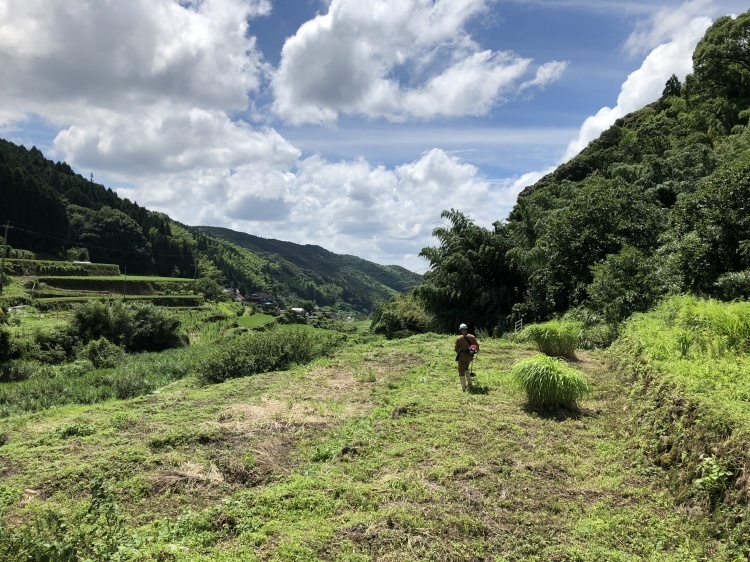 That same week we finished a lot of the work on the Wanipachi fields, leaving the last part of the work for the next week. 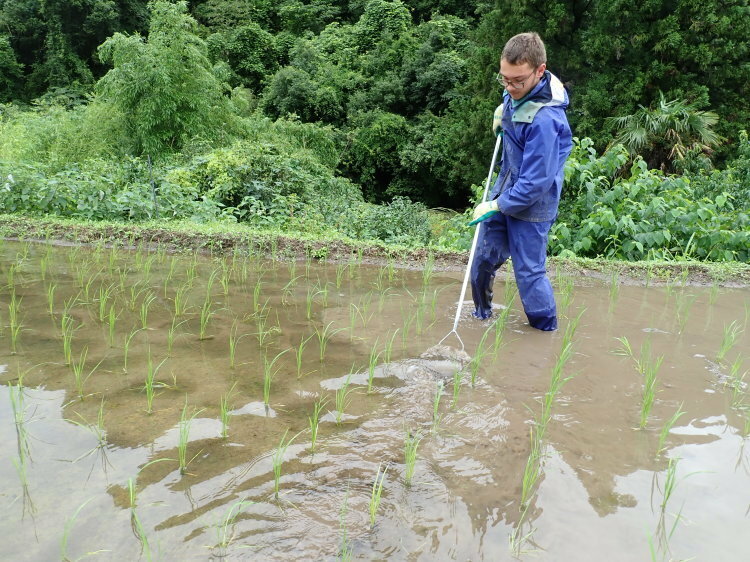 The day after the rains mentioned above, we had to go to help Miyazono san to get rid of the water circuits allowing the feeding of rice crops. Much of the water that could no longer be evacuated by the pipes flooded the roads of Kasahara. The same work had to be done at Egao no Mori. It was only after a few days that the goats were able to return to their respective spaces and the ditches could be partly cleared of bulky. This penultimate week has been difficult but nonetheless useful not only to the community but also for our work in this volunteering.